The Target Sample Spot program used to give customers access to free samples. Through the program, you could get anything from laundry detergent to diaper samples – for free! Unfortunately, the program is no longer active. So, does that mean you have to do without free stuff? 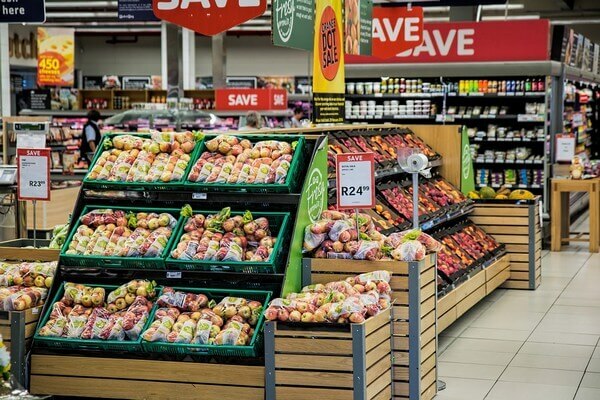 There are still so many ways that you can get free samples from the retail giant. You just have to know how to do it! Unfortunately, it’s not as simple as just grabbing the freebies you want from Target Sample Spot, like it used to be. But, if you know where to look and what to do, it’s much simpler than you’d think. Test out one of these methods, and get your hands on some free Target samples! If you’re looking for some free beauty samples from Target, then you should definitely consider getting a Target Beauty Box. These are not free. But, their value far exceeds their price tag. For example, there’s a $7 box available, which contains $28 worth of products. So, you get $21 worth of samples for free. This is definitely one of the easiest ways to get your hands on free samples at Target. You can get all kinds of free perfume samples, shampoo, personal care times and even makeup samples. $7 Target Beauty Box with items valued up to $28: This box contains five items, including Elnett Extra Strong Hold Hairspray and L’Oréal Colour Riche Extraordinaire Lipstick. $10 Target Beauty Box with a $50 value: This box contains ten samples, including Skinfix Ultra Rich Body Butter and Revlon ColorStay Ultimate Suede Lipstick. Beauty Box offers can change, so do a quick search for “Target Beauty Box” on Google (or whatever search engine you use) to find current offers. It’s a loyalty card that gives you access to so many perks and savings that you’re missing out if you don’t have one! What’s great about the REDcard is that it’s available in two different forms – credit card and debit card. This means that if you don’t want the hassle of getting approved for a credit card, or just prefer to use a debit card to shop with, then you can opt for the debit card option. You pretty much get the same benefits, regardless of whether you go for the credit or debit card. But, the biggest benefit to being a cardholder is that you get 5% cashback on all of your purchases! So, every time you spend $100 at Target, you get $5 for free. Put this free cash towards a purchase and you’ve essentially gotten yourself a free product from Target. Lock screen apps pay you to display content and ads on your phone’s lock screen. And many of these apps will pay you with gift cards. One that provides free Target gift cards is AdMe. It’s an android app that pays you to display news, deals, and coupons on your phone’s lock screen. You can then use these gift cards to get stuff for free at Target! It’s such an easy way to get free cash to spend at the store. Tip: Use your free Target gift card to buy one of the sample boxes above. You could get that beauty box that costs just $10, but is valued at $50 for free! If you’re expecting a child, then you should consider starting a baby registry at Target. Not only do you get a 15% discount on the items in your registry, and a host of other bonuses, but you also get a free Welcome Kit. This Welcome Kit contains $50 worth of coupons and samples. We have a full review of Target’s baby registry service, so check that out to learn more. The methods for getting free stuff from Target that we listed above are super simple – and require minimal effort. However, there are more methods that you can try – they just require a little bit more of your time and effort, but at the end of the day, they are great ways to get free stuff and save money at Target. They’re still super easy though! Like most people, you probably download apps often – so why not get yourself some freebies at Target out of it? Tap Cash Rewards will give you gift cards to places like Target when you download and try new apps. Don’t worry, these are free apps. Usually, you only have to test out the app for a short period of time to earn. And, then you can delete it from your device. Use your card to get stuff for free from Target. If you don’t mind sharing your opinion on a company’s products or services, then sign up for a couple of survey sites. Taking surveys for coupons and freebies is a great way to get your hands on free stuff. 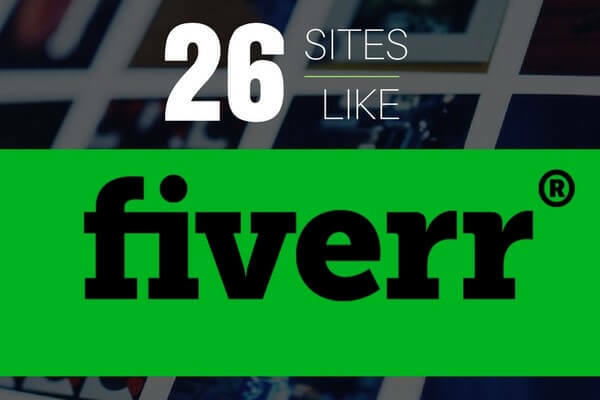 Some of these sites will also pay you with Target gift cards. Use your gift card to purchase sample boxes or whatever you want for free! When you participate in surveys on Toluna, you earn points. These points can be redeemed for gift cards for a variety of stores, including Target. When you complete surveys at Darwin’s data, you’re rewarded with a $25 Tango gift card. On the Tango card website, you can exchange Tango cards for e-gift cards from a huge range of brands, including Target. So, you could get yourself $25 to spend on stuff at Target! This website pays up to $5 per survey. And, you can redeem your credit for Target gift cards. So, for each survey that you do, you could potentially get yourself a $5 product for free at Target. This is another good survey site. Survey Junkie will give you Target e-Gift cards in exchange for taking surveys. If you provide your feedback to Tellwut, you can earn points. You can redeem your points for Target gift cards. Get paid to websites are platforms that reward you when you complete tasks. Usually, these are easy tasks, like browsing the internet, watching videos and playing games. What’s great about these platforms is that they reward you with gift cards – and many of them offer gift cards for Target. You can use these cards to buy the stuff you want, for free. 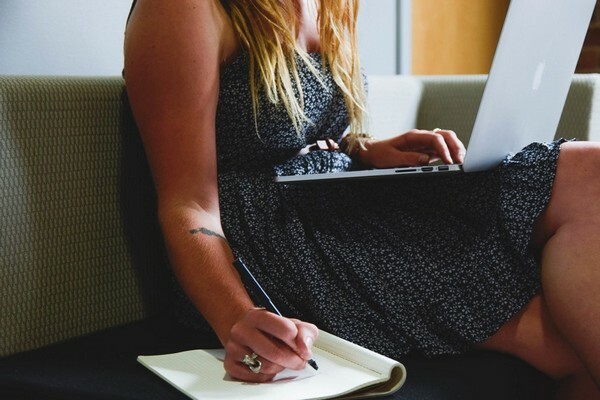 So, if you’ve got a bit of downtime, or are looking for something to do on your lunch break, then consider doing a few easy tasks on these sites. Swagbucks gives you points, known as “Swag Bucks” when you complete easy tasks, such as watching videos, participating in surveys and shopping. When you accumulate enough points, you can redeem them for Target gift cards, as well as gift cards for other retailers and cash via PayPal. Currently, 2200 SB gets you a $25 Target gift card (there’s a 12% discount on the card at the moment) – that’s $25 of free products you can get! By the way, you can get a free $5 sign up bonus if you sign up today. SquishyCash rewards you with gift cards for doing things like completing offers, signing up for free trials and playing games. It offers Target gift cards. You get a $3 sign up bonus too. On Perk, you can earn points for answering trivia questions, playing games, and trying apps. And, you can redeem your points for Target gift cards. Another way to get not only Target freebies but freebies in general is through product testing sites, specifically beauty product testing panels. These companies will basically send you stuff for free. You use them as you would normally, then provide feedback. This feedback is used to create better products or improve what’s already out there. For a bigger list, check out our beauty product testing panels post where we list 22 of them. If you’re not familiar with Reddit, it’s basically one of the biggest social networking/online forums where people talk about anything you can think of. And just like traditional online forums, there are smaller sub-forums for various topics. On Reddit, these are called subreddits. For freebie seekers, there are two subreddits that are goldmines for finding companies that give away free stuff and samples. And yes, you can find out about Target freebies as well. 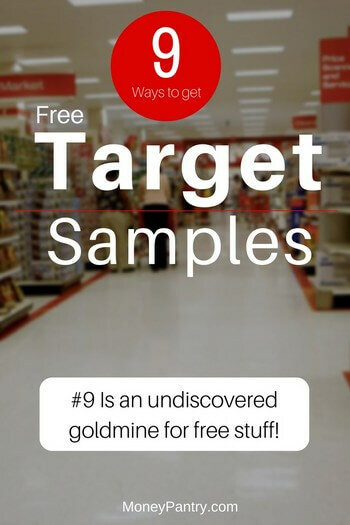 Just search for “Target free samples” or something similar within each subreddit and you will see a list of all the posts that are about samples and free stuff from Target. Now, the best part of using these subreddits is that you can find stuff from tons of different companies and brands. You can find free samples from Walmart, Amazon, Macy’s and more. While researching I noticed a few freebies and products samples form Kmart. Kmart – like Walmart, Amazon, Walgreens, Kmart, Macy’s and more. You can get free samples that are sent to you by mail, freebies that don’t require surveys, things that come with free shipping and so on. These can include free shampoo samples, perfumes, food, baby products and more. So be sure to check it out. Either subscribe to the subreddit or just bookmark the page so you can check back every so often for new stuff. As you can see, there are still plenty ways to get your hands on free stuff from Target. Sure, it’s not as easy as just going to the Target Sample Spot and just picking up freebies. But, it’s definitely still possible. Whether it’s earning gift cards you can use to get free stuff at Target, or buying Target’s Beauty Boxes there are plenty of things you can do to get your hands on free samples and full-sized products from the retail giant. Hi Satrap, I’m from Sri Lanka. I like to testing free samples. but all the Free Testing Products Sites only give US, Uk, Canada or Australia. is there any chance of i can have Free Samples? is there any sites we Sri Lankans can participate to? if there please give me the list. is there any International Legitimate Free Product Testing Sites we Sri Lankan people can Participate? if you give me a list, thank you Satrap. Unfortunately, almost all the companies that I know only allow people from the U.S. and a few other western countries. That is mainly because the brands and manufacturers whose products are being given away as samples have most of their consumers in these countries, so it only makes sense to give freebies to people who can actually become their paying customers in the future. I clicked for the sample spot and it just brings up the normal target website? Hmm… you are right. It seems like they have either taken it down or have moved the sample section to another page. I’ll investigate it further and update the post if and when I find out anything. Sorry for the inconvenience, Teri.